CINCINNATI -- When the No. 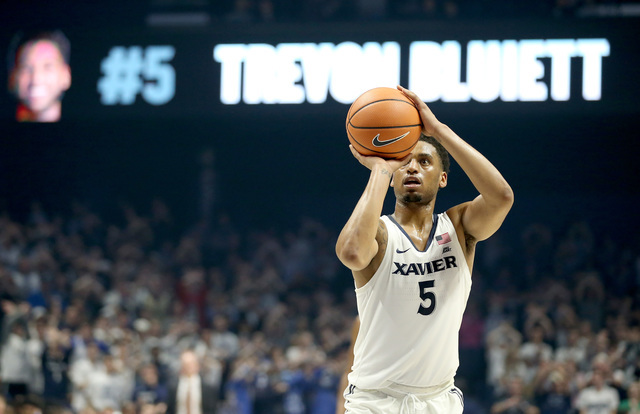 4 Xavier Musketeers host the No. 3 Villanova Wildcats at 4:30 p.m. Saturday it will be the latest chapter in what has become far more than a standard conference matchup. It's evolving into one of the nation's best rivalries. The schools have similar enrollment size and culture. Villanova is Augustinian; Xavier is Jesuit. Both are big city schools, basketball-centric and members of the Big East Conference. They also share top-five rankings in this week’s Associated Press poll and the top two spots in the Big East standings. The only ingredient missing from this being a classic rivalry: the head-to-head matchup has been one-sided. For all of the Musketeers’ success in the past decade or so -- two Elite Eights, six Sweet 16 appearances, 11 NCAA Tournament trips -- they have beaten ‘Nova only once. During that same span, Villanova has won a national title, reached two Final Fours and won four straight Big East titles. The teams have contrasting styles of play, but Villanova in many respects provides a blueprint for the Musketeers to follow. The third-ranked Wildcats lead the all-time series against Xavier 25-5, including seven wins by an average of nearly 20 points since the teams became Big East foes. There has been no brotherly love in Philadelphia, where the Musketeers have gone 0-4 the past five seasons, with losses by 31, 25, and 24 points. Xavier’s only win in the series during this time is 90-83 win over then No. 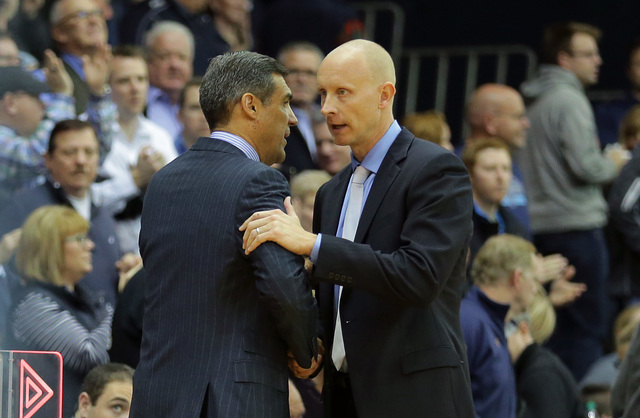 1-ranked Villanova on Feb. 24, 2016 at Cintas Center. But that win could factor into Saturday’s game. Mack believes the precedent of beating Villanova at home could help his team psychologically on Saturday, especially with seniors J.P. Macura and Trevon Bluiett playing well in that game as sophomores. Macura scored 19 points off the bench that night, including back-to-back 3-pointers during a key first-half run. Bluiett scored 10 points and tied Gates with a team-high seven rebounds. Villanova (23-3, 10-3 Big East) made a season-low three 3-pointers in a 76-71 loss at Providence on Wednesday night, dropping them a full game and a half behind Xavier in the Big East standings. The Wildcats, who spent five weeks at No. 1 in the AP poll despite losing junior guard Phil Booth in January to a fractured hand, routed the Musketeers 89-65 on Jan. 10 in Philadelphia. Respect runs deep between the two coaches. Villanova coach Jay Wright didn’t pick his team to win it all in one of his family tournament bracket pools when the Wildcats won the national title two years ago. What stands out to Mack is the ability of Wright’s teams to bring a consistent effort every night. It’s something the Musketeers have struggled with, winning nine games decided by six points or less, including wins over East Tennessee State, Marshall and DePaul. “We’re similar (to Villanova) in that every single night you’re going to get the other team’s best shot,” Mack said. “You’re definitely not going to catch them sleeping. Sometimes I don’t think we’re there yet. That’s a credit to his group that they’re ready every single night they play." From 1952 to 1974, Villanova and Xavier played each other 18 times. But over a span of 32 years before being united in the Big East in 2013, the teams met just once in the regular season. They now meet twice per season. The fourth-ranked Musketeers (24-3, 13-2 Big East) defeated Seton Hall 102-90 on Wednesday night behind a season-high 37 points from Bluiett. Xavier has won nine straight games and is 16-0 this season at Cintas Center. “They give you trouble, because they’ve got every area covered," Wright said. "Defense, rebounding, post play, perimeter play, drive game. They can play fast pace. They can play in the half-court. They execute in every aspect of the game”. The Musketeers hope to make their matchups with Villanova more competitive on a regular basis, beginning at 4:30 p.m. Saturday.